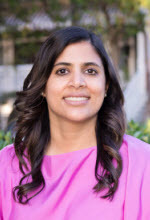 Dr. Manju Elizabeth George is a board certified pediatric dermatologist who provides personalized care for children and young adults under the age of 21 at her private office in Palm Beach Gardens, Florida. Dr. George is board certified in adult and pediatric dermatology and she prides herself on providing exclusive service to young adults and children. Dr. George is one of a few select board certified pediatric dermatologists in the US. Dr. George was born and raised in Long Island, New York. She completed a dual major in Modern Languages(Spanish) and Biology at Union College before attending medical school at Albany Medical College. She completed seven years of residency training after medical school and three board certifications to become a well-trained and educated board certified pediatric dermatologist. Her post-graduate training includes a three year residency in Pediatrics at Children’s Mercy Hospital in Kansas City, Missouri, three year residency in Adult and Pediatric Dermatology at the University of Kansas and a one-year pediatric dermatology fellowship at Children’s Mercy Hospital. She was the first dermatology resident at the University of Kansas to help foster an alliance with the Children's Mercy Hospital which broadened pediatric dermatology education for the dermatology residents. Due to Dr. George’s interest in pediatric dermatology, she became the first pediatric dermatology fellow at Children’s Mercy Hospital in Kansas City, Missouri. Dr. George has been published in many dermatology periodicals and texts, as well as, given numerous talks pertaining to pediatric dermatology. Dr. George is also on voluntary faculty at the University of Miami ( Miller School of Medicine), Division of Pediatric Dermatology. Dr. George is actively involved in the local community, supports local charities and schools and sits on the executive board of the Richard David Kann Melanoma Foundation. Post-training, Dr. George practiced in Long Island, New York and Boca Raton, Florida before deciding to open up her own practice in Palm Beach Gardens, Florida. As one of a select few Pediatric trained Pediatric Dermatologists in the state of Florida, Dr. George provides quality care in a friendly and relaxed environment to children and young adults. Outside of her practice, Dr. George enjoys spending time with her husband, who is also a physician, and her two teenage children. She is passionate about her family and her practice and is happy to be a part of your care! Dr. George in "We are Committed: Yearbook 2012"